Triumphant Victorious Reminders: October 28, 2009, "High side of conversation"
"Let no corrupt communication proceed out of your mouth; but that which is good to the use of edifying that it may bring grace unto the hearers." I saw this today, "Stay on the high side of every conversation: honor the absent." it was a quote by Lisa Bevere. Truly a reminder today from the Lord; no matter what people struggle with, what they are going through or how we feel negatively when we are around them, this is a great reminder of Ephesians 4:29, "Let no corrupt communication come out of your mouth but that which is good to the use of edifying; that it may bring grace unto the hearers." I love how simple yet powerfully the statement effected me. "Stay on the high side of every conversation: honor the absent." As we honor the 'absent', we honor God as well. Amen! I love that quote. It does go so well w/that verse. As a talker, sometimes I have difficulty with this truth. But thankgoodness God doesn't give up on us. He has gently been working on me through the years. I am learning to hold my tongue more and more. 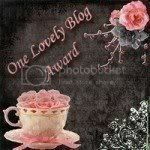 Thank you for stopping by my blog today. It was nice to "meet" you. I pray you have had a great Wednesday!